A key aspect of the Laguna Canyon Project was the creation of “The Tell,” a 636-foot-long photomural, erected in 1989 in what is today the 7,000-acre Laguna Coast Wilderness Park. he publisher and creators of the 2018 book, “The Laguna Canyon Project: Refining Artivism,” invite all to a panel discussion, talk and slideshow at 7 p.m. on Thursday, April 25, at the Susi Q Community Center, 380 Third Street. The Laguna Canyon Project was a multi-phased environmental art project (1980-2010) that inspired Laguna Beach residents to save the canyon from development. Mark Chamberlain, the photographic/environmental/installation artist, gallery owner and curator who died last year, writes the main essay in the book, published by Laguna Wilderness Press. Chamberlain co-founded BC Space Gallery and Photographic Art Services in Laguna Beach in 1973 with Jerry Burchfield, and co-founded the “Laguna Canyon Project: The Continuous Document” (1980-2010) to photographically document Laguna Canyon Road. 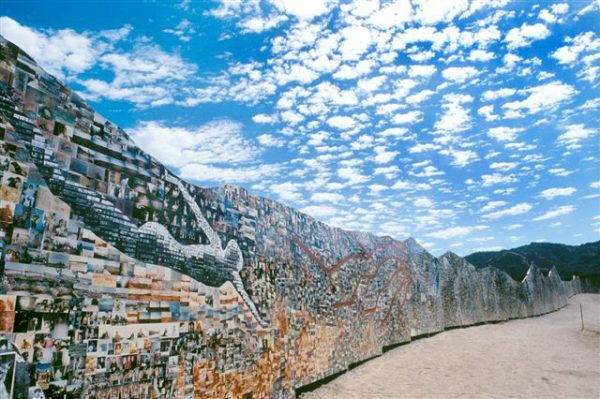 A key aspect of the Canyon Project was the creation of “The Tell,” a 636-foot-long photomural, erected in 1989 in what is today the 7,000-acre Laguna Coast Wilderness Park. This public art installation, the activism it inspired, and its role as the destination for the November 1989 “Walk to Save the Canyon,” are still fresh in the minds of many participants and local residents. Panelists include: Ron Chilcote, a UC Riverside professor emeritus who founded Laguna Wilderness Press in 2003 with Jerry Burchfield; Liz Goldner, an award-winning art and cultural journalist who writes about art in Laguna and Southern California; Paul Freeman, an independent consultant, speaker, writer and former mayor of Laguna Beach who was the lead negotiator between Laguna Beach and The Irvine Company for the purchase of the land in Laguna Canyon; Mike Phillips, a former executive director of the Laguna Canyon Conservancy and a former community news writer at Laguna Coast Line during the creation of “The Tell;” and Tom Lamb, a photographer and friend of the Laguna Wilderness Press. 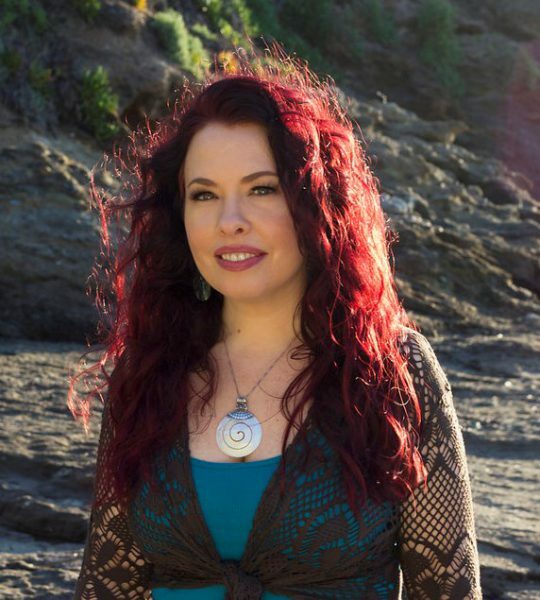 Stacy Pendleton, voice teacher and sound healer, will share the benefits and origins of sound healing at the Unitarian Universalist Fellowship of Laguna Beach on April 7. JYZ Youth Zone “Pumped 4 Passover” will take place on Tuesday, April 9, at 4:30 pm at Chabad Jewish Center for children of all ages. The event features hands-on Passover with Seder crafts, Matzah Ball making, holiday games, stories and a Matzah ball raffle. Admission is $7 per child. For more information, visit the Chabad website at www.chabadoflaguna.com or call the office at 949-499-0770. Chabad is located at 30804 South Coast Highway in Laguna Beach, across from the Montage Resort. Local chiropractor Dr. Gary Arthur will offer a free, interactive workshop at 6 p.m. on Monday, April 8, for anyone interested in finding lasting relief from neck and back pain. Participants in the workshop will learn how to improve neck and back health and how to prevent injuries. Nutritional advice and secrets to good posture will also be discussed. RSVP by calling 949-497-2553 or visiting www.healthinbalance.com/events. Dinner will be provided. 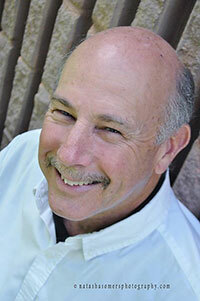 The Laguna Craft Guild will have a show on the cobblestones at Main Beach from 9 a.m. to sundown on Sunday, April 7. The Laguna Friends of Architecture invites the public to a slideshow presentation, talk and book signing focused on celebrities’ homes by architect and author Alan Hess on April 12. Interested in getting a peek inside the homes of Hollywood celebrities? The Laguna Friends of Architecture invites the public to a slideshow presentation, talk and book signing by Alan Hess, an architect, author, lecturer, critic, and advocate for 20th century architectural preservation. The event is set for Friday, April 12, from 7-9 p.m. at LCAD Studio 1, 2222 Laguna Canyon Road. Attendees will enjoy an array of photos of the homes of Hollywood stars, from Groucho Marx to Leonardo DiCaprio. Hess will discuss the intersection of celebrity and design, presenting 25 houses designed by renowned architects for their famous clients in Southern California. The presentation spans the modern era, from moderne homes of the 1930s through mid-century modern designs, to the present day. Critical Conversations @Soka, a distinguished speakers series, is hosting “The Suicide Epidemic: Real Insight. Real Hope. Real Help” at 7 p.m. on Tuesday, April 16, with international authority of mood disorders Dr. Kay Redfield Jamison, and Alison Malmon, founder of Active Minds, an organization providing actionable information to help students find help. The 12th annual National Day of Prayer Breakfast will take place from 8:30-9:30 a.m. on Thursday, May 2, at Mission Hospital, 31872 South Coast Highway. Carol Carlson, program director of Waymakers Laguna Beach Youth Shelter, and Pastor Don Sciortino, of the Laguna Beach Net-Works Church, will be honored for making a difference in the community. RSVP to [email protected] by April 20. The community is invited to Pantry Palooza, a happy hour of good food, drinks, dancing and camaraderie, to celebrate and raise funds for the Laguna Food Pantry. The party takes place from 5-7 p.m. on Friday, April 26, at Skyloft, 422 South Coast Highway. Tickets, $75, are available, or donations will be gladly accepted at bit.ly/PantryPalooza. Tickets at the door are $100. For more than 25 years, Laguna Food Pantry has been a safety net for anyone in Laguna Beach who needs free, fresh, nutritious food. The Rotary Club of Laguna Beach will host the 14th annual Grapes for Grads wine tasting event and fundraiser on Sunday, April 28, from 1-5 p.m. Grapes for Grads raises scholarship funds for graduating seniors from Laguna Beach High School and students attending Laguna College of Art +Design. The event will be held at the newly remodeled Festival of Arts grounds, 650 Laguna Canyon Road. The evening features live music by Yachty by Nature, an art exhibition by LCAD, a silent auction and opportunity drawing, and small plates available for $5 from a selection of local restaurants. Admission is $50 per person for advanced tickets, or $60 at the door (must be 21 or older to attend). For more information, visit www.GrapesForGrads.com. Laguna Beach Mayor Bob Whalen and city officials will present their State of the City address from 11:30 a.m. to 1:30 p.m. on Thursday, May 2, at the Montage Laguna Beach Resort. The Chamber of Commerce will provide a brief overview of the recent highlights of the past 12 months and goals for the near future. Currently, VIP sponsorship opportunities, as well as table and individual seat reservations, are available by calling 949-494-1018 or emailing [email protected] Registration closes Tuesday, April 23. Tickets, as well as underwriting and sponsorship opportunities, are available for a fundraiser to be held on Sunday, May 19 at 3 p.m. at the Laguna Beach Artists Theater to celebrate the launch of the WAVE Action Fund, the 501(c)(4) nonprofit arm of the WAVE organization—Women for American Values and Ethics. WAVE is a diverse group of over 1,000 nonpartisan women that engages, educates and empowers its members and the community to advance progressive American values and ethics such as gun safety, climate action, student mobilization, migrants’ rights, diversity and inclusion. Sponsors will receive admission tickets, VIP seating, name recognition on programs and a variety of publications and platforms. A $50,000 sponsorship is recognized with an on-stage award presentation. Individual tickets are also available for $50. Congressman Harley Rouda will be present and the Jorge Dubin band will entertain. Contributions are not deductible as charitable donations.